Baby & Me Trimester I & II is a comprehensive foundational formula crafted exclusively with whole food nutrients, designed specifically for use prior to and throughout pregnancy. 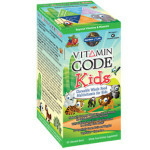 Carefully formulated, this herb-free formula meets the special challenges of prenatal nutrition support with a combination of select nutrient-dense whole foods. Iron is an important mineral for pregnant women with which to supplement, but regular forms of iron have been implicated in contributing to discomfort; Innate solves this by supplying iron from FoodState Nutrients, which is not only gentle on the stomach, but also non-binding. 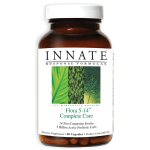 This formula is well-tolerated by women experiencing nausea, and suggested use fulfills 100% of the daily value of key nutrients with 800 mcg of folate and with 18 mg of iron. 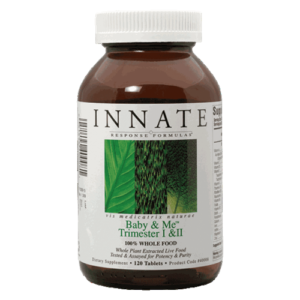 Baby & Me Trimester I & II provides balanced nutritional support throughout one of the most nutritionally demanding periods of a woman’s life.